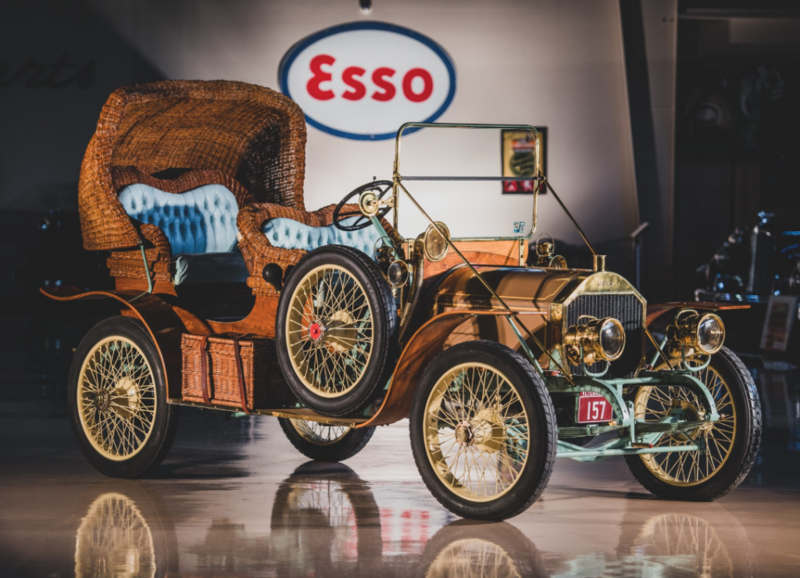 We’re starting off our second October auction rundown with one of Bonhams’ most interesting sales of the year: their sale at the Simeone Foundation Museum in Philadelphia. Even with a bunch of weird old classics on hand, the top sale was still a 1970 Ferrari 365 GT 2+2 for $215,040. The Paige Daytona Speedster we featured sold for $84,000 and the Breese Paris Roadster $78,400. Click here for more results. H&H Classics held a sale in October, and the Honda S800 we featured sold for $17,615. 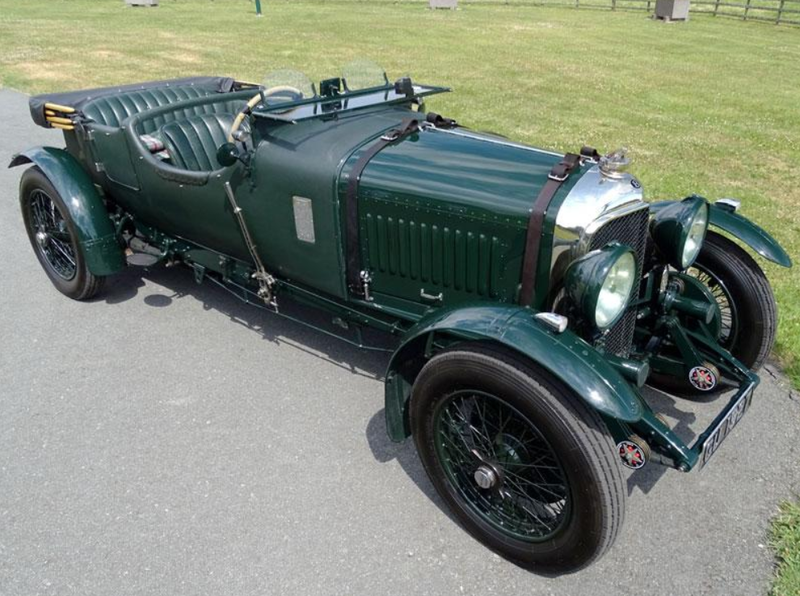 The overall top seller – by a very wide margin – was this 1929 Bentley 4.5-Litre Le Mans-style Tourer for $1,115,638. Click here for final results. Next up, Leclere-MDV in Paris. We featured an Alpine A110 1300 S that sold for a strong $105,158. 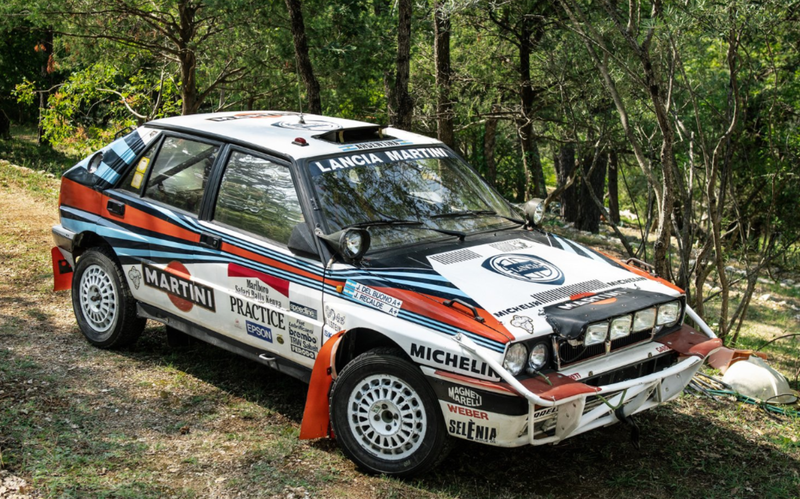 The overall top sale was $286,795 for this 1990 Lancia Delta HF rally car and full results can be found here. Onward to Osenat’s Automobiles de Collection sale where the Matra Murena we featured failed to find a new home. 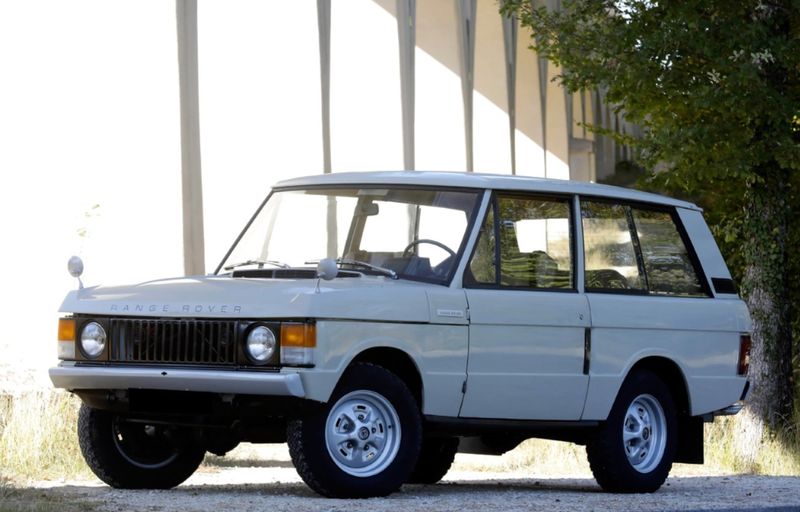 The catalog here was on the smaller side and the top sale was this 1972 Land Rover Range Rover for $45,067. Click here for more results. Finally, we stay in Europe for Brightwells’ Bicester Classic & Vintage sale. 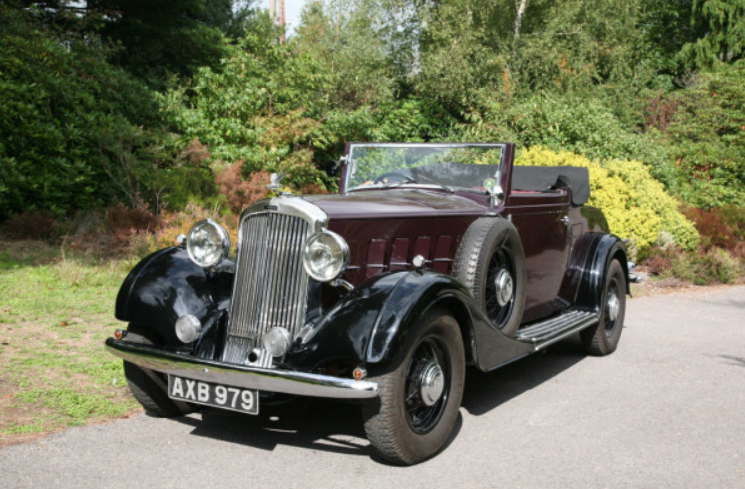 The Frazer Nash we featured ended up being the top seller, bringing $265,436. That means we get to award Most Interesting. We’d like to hand that to a Soviet SA-6 SAM missile that was included for some reason but will stick with cars, particularly this 1934 Humber Sniper 80 Golfer’s Coupe that brought $41,609. Click here for all of the results from this sale. 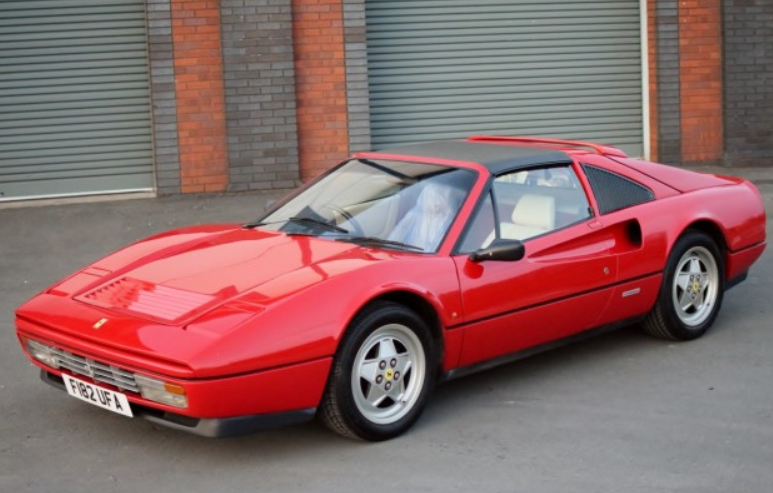 We start off August with a leftover from July, Silverstone Auctions’ Silverstone Classic Sale. 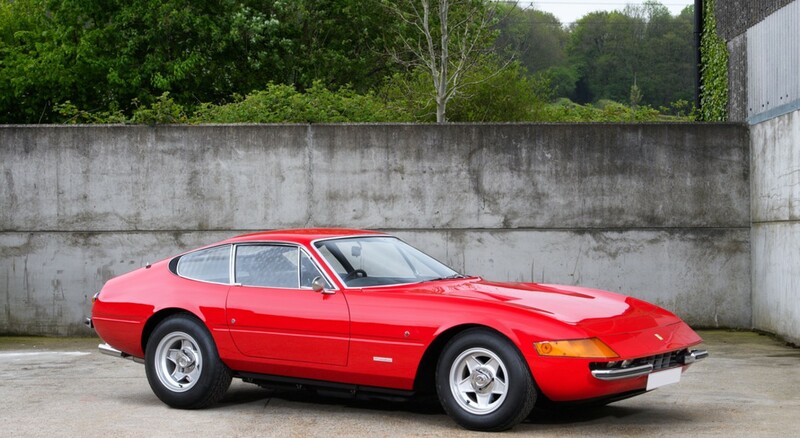 The top sale was a 1972 Ferrari 365 GTB/4 Daytona that previously belonged to Elton John. It sold for $723,956. Both of our feature cars sold with the low-mileage Lotus Carlton selling for $94,557 and the Renault 5 Turbo $97,512. More results can be found here. Brightwells held a Modern Classic sale in August on the eve of everything that happened half a world away in California. 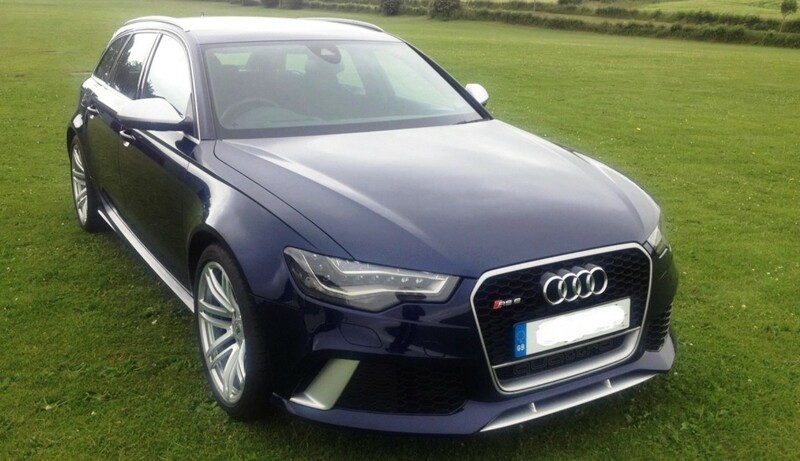 The Marlin Makaira failed to sell but this 2013 Audi RS6 Avant was the top sale at $61,540. Click here for everything else. 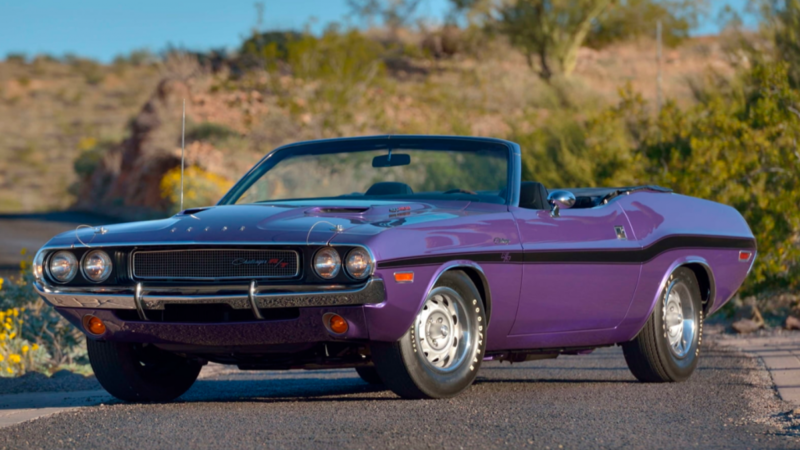 Moving to California we have Mecum’s Monterey sale. 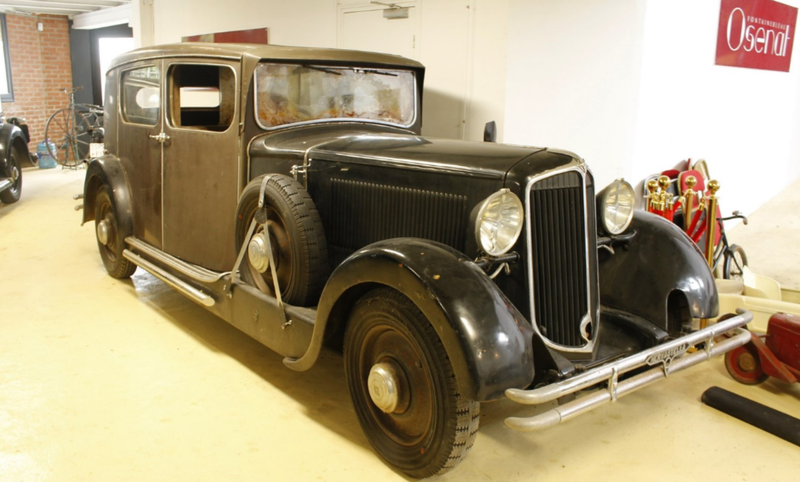 We’ll start by saying that this previously-featured Duesenberg failed to sell. 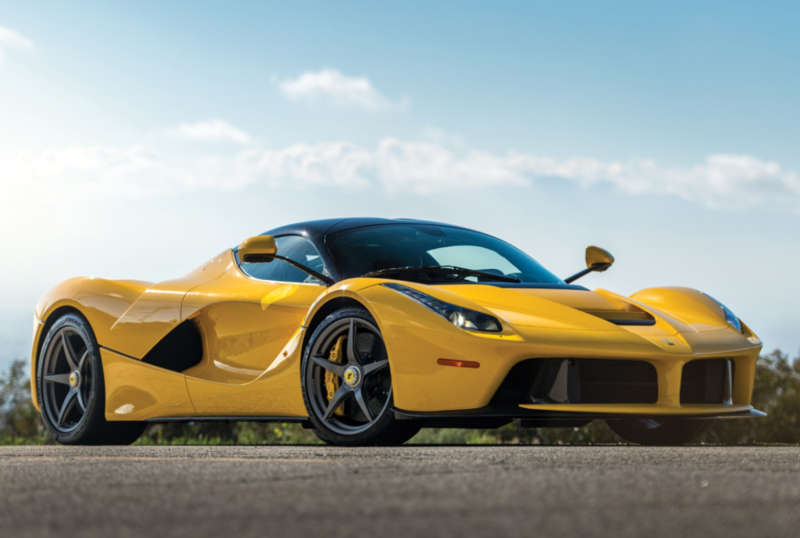 The overall top seller of this auction was this 2014 Ferrari LaFerrari for $3,450,000. The Koenigsegg we featured still brought a lot, but not quite as much, at $2,600,000. And the Veyron Grand Sport Vitesse was third at $2,350,000. The regular Veyron failed to sell. The Maserati MC12 Corsa (like a previously-featured Aston Martin Vulcan) could’ve been a million dollar sale, but it failed to meet its reserve. To round out our feature cars, the Shelby Series II Prototype also failed to sell. 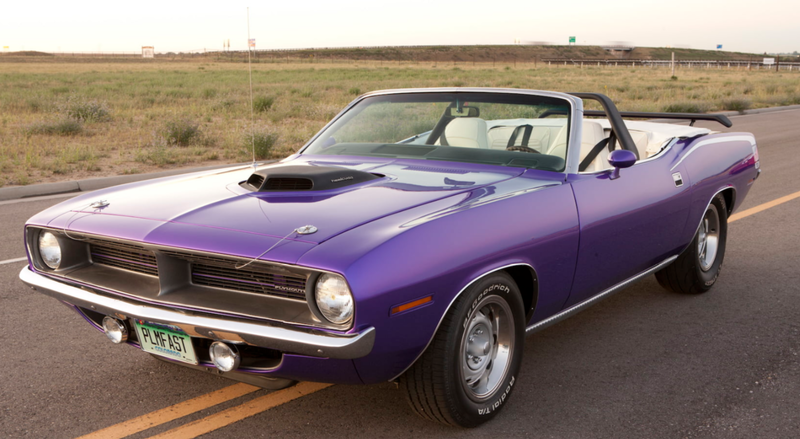 You can see Mecum’s complete result list here. Now on to Gooding & Company’s Pebble Beach sale. The Porsche 917K we featured sold for $14,080,000 – and, remarkably, it just missed being the top sale, which went to this 1966 Ferrari 275 GTB/C that brought $14,520,000. There were a couple of no-sales among our feature cars, including the Ferrari wagon, the Arnott-Climax, the Mercedes-Benz S-Type and the Alfa 33 TT 12. The Maserati A6G/54 sold for $4,400,000. 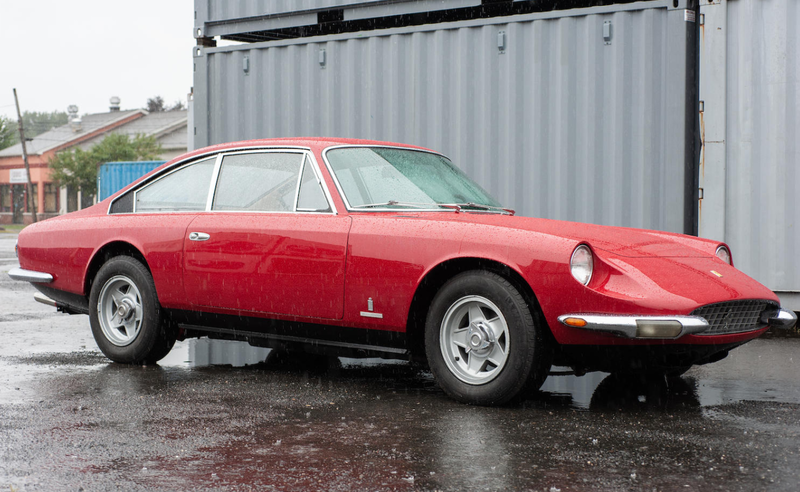 A previously-featured Fiat 8V Elaborata sold here for $1,485,000. Other sales included the Gardner Roadster for $132,000, the OSCA 1600 GT for $341,000, the Wolfe Touring for $49,500. You can see more results here. We’ll have more Pebble Beach results in a few weeks, but for now we’ll wrap it up with RM Sotheby’s sale in Monterey. The top sale here was the Aston Martin DBR1 for a record $22,550,000. Two other Astons that we’ve featured sold here as well, a DB4GT (for $6,765,000) and a Group C AMR1 (for $616,000). 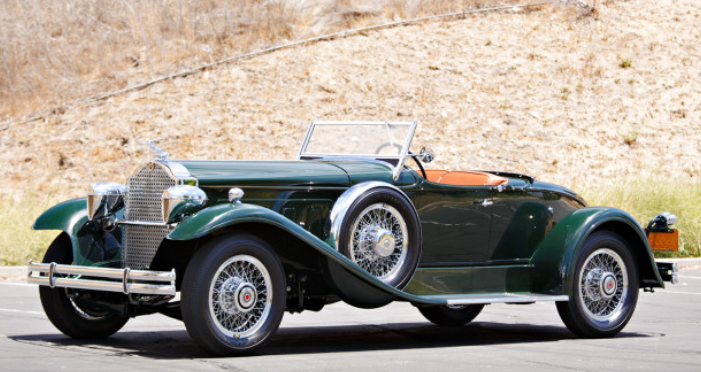 Just like at Gooding’s sale, a Mercedes S-Type failed to sell, as did the Voisin C28. For Most Interesting, we’re going with this mean looking 1930 Bentley 6½-Litre Speed Six Sportsman’s Saloon by Corsica that brought $3,410,000. Other million dollar sales included the Maserati 5000 GT by Michelotti for $1,017,500 (the other Maserati, the 3500 GT, brought $605,000). There were at least four million-dollar Ferraris: the 121 LM sold for $5,720,000, the 342 America $2,255,000, the 500/735 Mondial $3,850,000, and the 212 Export $4,500,000. Other big money Italian cars included the Lamborghini Concept S ($1,320,000) and the Abarth 1100 Sport ($891,000). 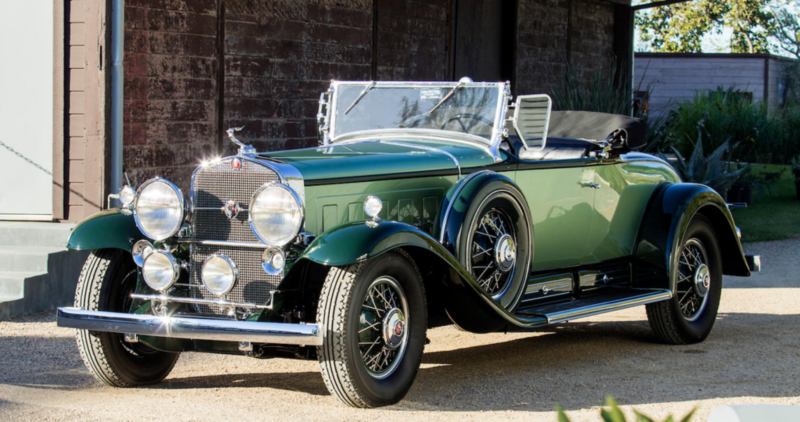 There were three previously-featured cars that sold here, including this Duesenberg for $1,430,000, this Oldsmobile Autocrat for $605,000, and this four-door Rolls-Royce convertible $385,000. Whew. Check out everything else here. The Bentley Arnage, Bentley’s big sedan that they built from 1998 to 2009, was, and still is, a great-looking car. It was a front-engine, rear-wheel drive, four-door sedan. But what happens when your giant luxo-barge doesn’t have enough room from the groceries, the dog, and a sheet of plywood? Well you go spend $900,000 at a few posh design shops and transform that big British boat into a wagon. And then you put wood paneling on the side, Ford Country Squire-style. I love it when people with too much money don’t know what to spend it on so they build a ridiculous car (pro-tip, you can always just send that spare change my way). The Arnage T was introduced in 2002 and is powered by a 459 horsepower, twin-turbocharged 6.8-liter V-8. 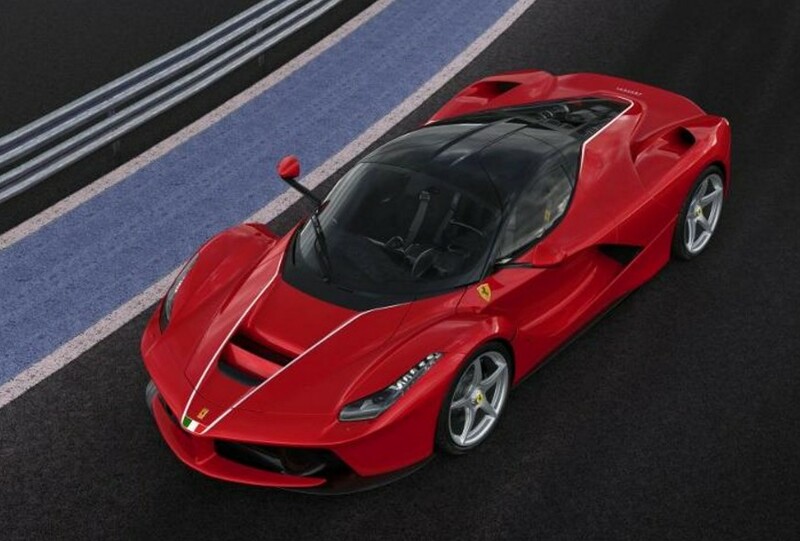 Top speed was 170 mph and 60 arrived in 5.5 seconds. Pretty stout for a 15-year old sedan weighing over 5,000 pounds. 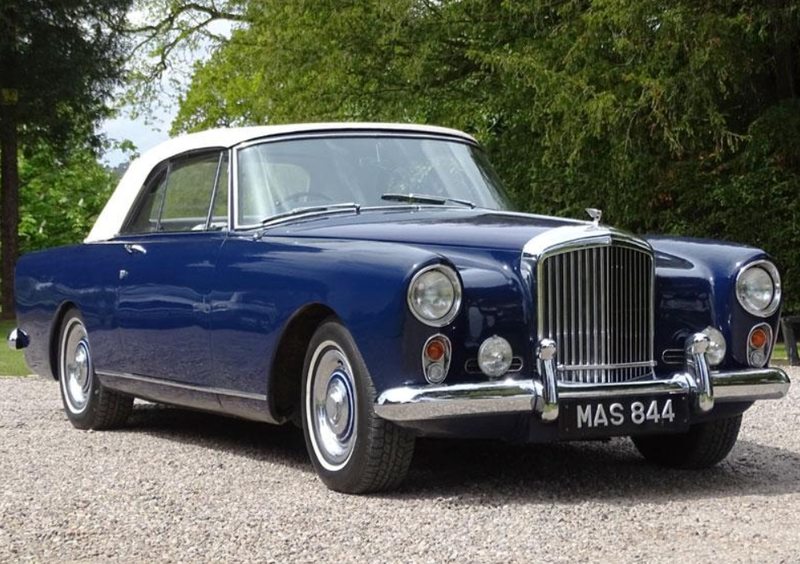 This one owner car was sent to Genaddi Design in the U.S. to be turned into a wagon, something Bentley didn’t build. He also needed it converted to four-wheel drive because this was to be his exclusive transport at his house in the Alpine village of St. Moritz, Switzerland. The 4WD system has a Cadillac Escalade to thank for its engineering (and some parts). When completed it was shipped to the owners home in Monaco, but they weren’t happy and sent it to Pininfarina to add some final touches (and re-do the interior). 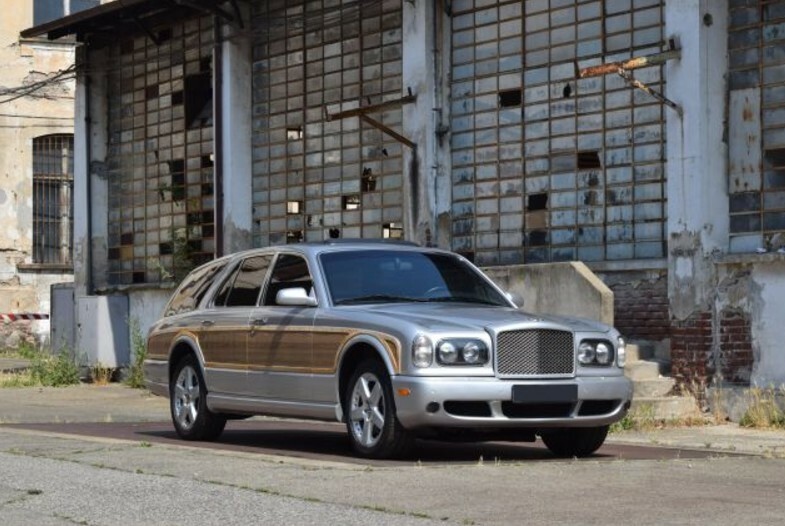 This is the kind of car that draws strong opinions one way or the other and for the record, as big fans of wagons and the Arnage, we love it. 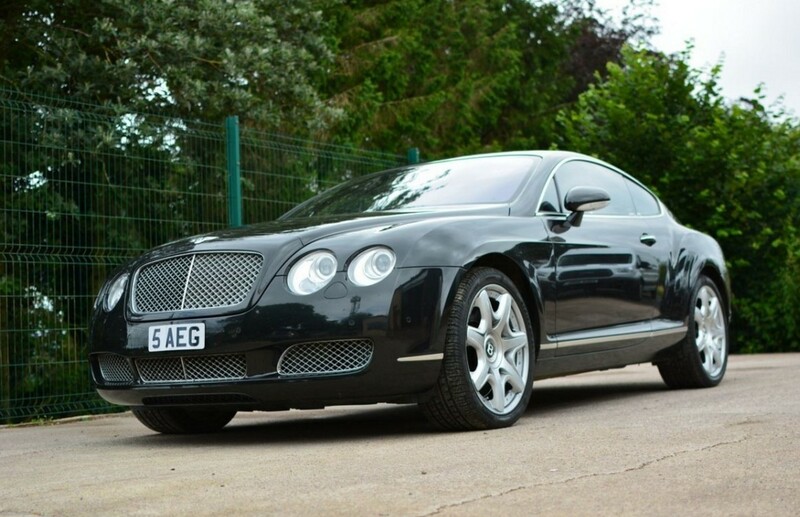 If you’re the kind of person who needs his or her Bentley to be rarer than your neighbors Bentley, then here’s your ride. It should bring between $90,000-$180,000. Click here for more info and here for more from this sale. First up in December is one of two Bonhams sales, this one is the Bond Street Sale where we featured two Zagato-bodied Aston Martins. The DB7 Zagato brought $390,262 but the V12 failed to sell. Bonhams published most of their results, but they appear to have skipped the top two sellers. 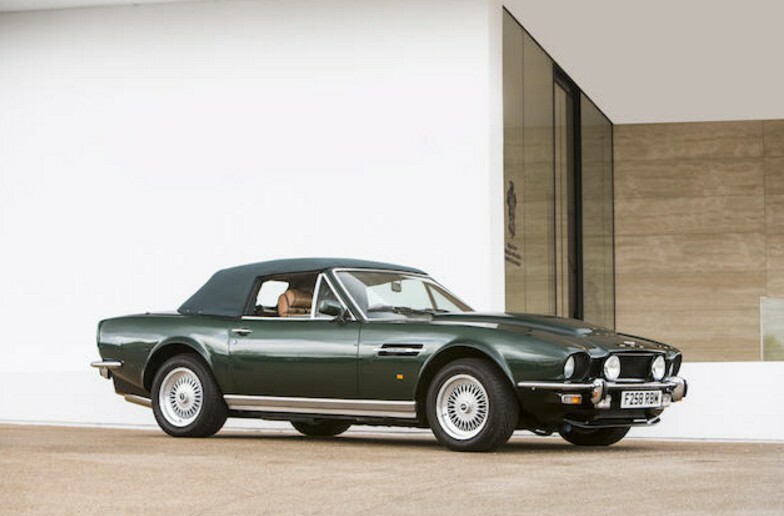 The highest dollar price currently reported was $821,000 for this 1989 Aston Martin V8 Vantage Volante “Prince of Wales”. Click here for complete results. 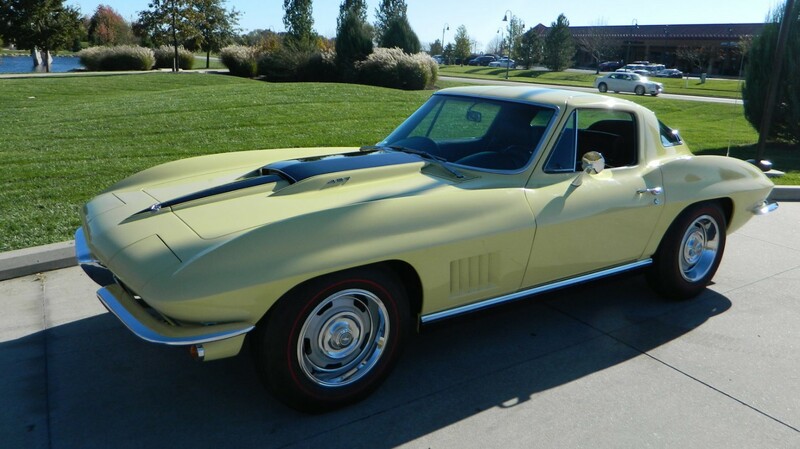 Mecum’s Kansas City sale was this month and the #1 sale was $130,000 for this 1967 Chevrolet Corvette 427/400 Coupe. 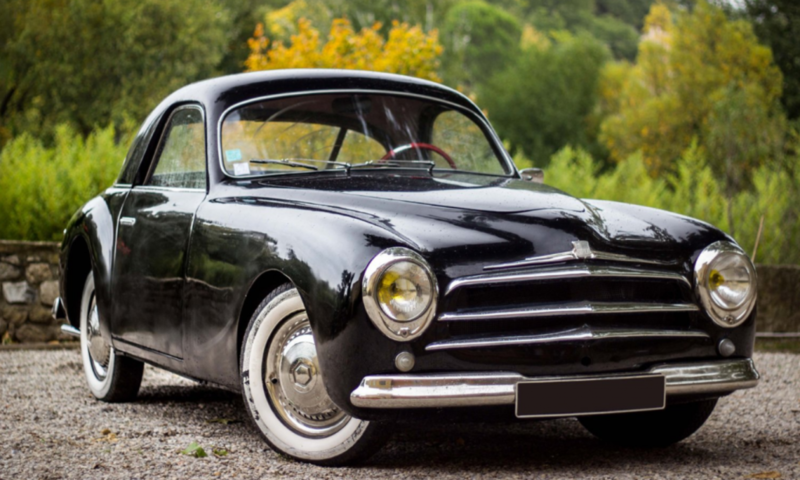 The Phillips Berlina neo-classic we featured went for a reasonable $17,500. Click here for all results. Remember those earthquakes in Italy over the past few months? 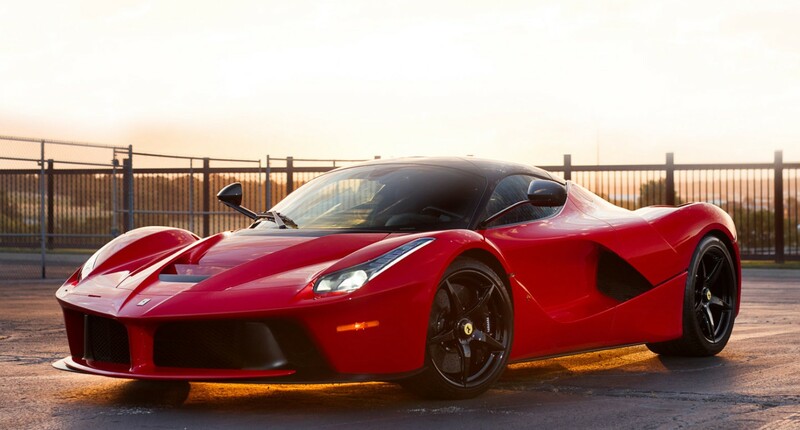 Well the head of Fiat decided that Ferrari would build one more LaFerrari and then auction it off for charity to benefit the victims of those earthquakes. 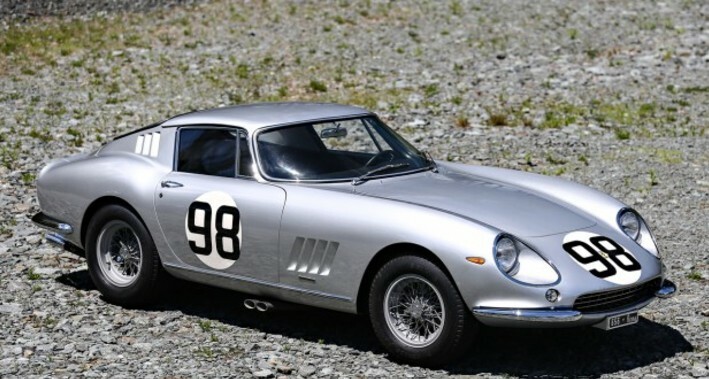 RM Sotheby’s sold the car in Daytona Beach this month and it brought $7,000,000. 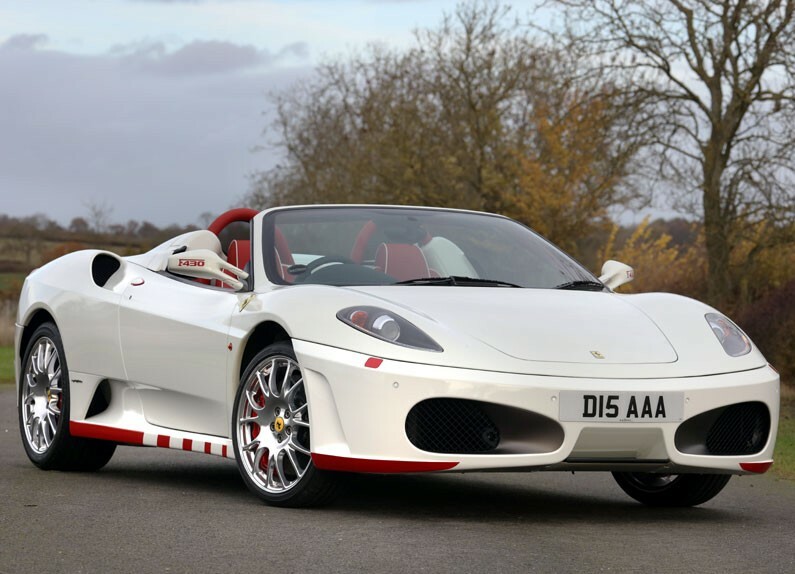 The top sale at H&H Classics’ Chateau Impney sale was this 2012 Ferrari F430 Spider that brought $179,669. 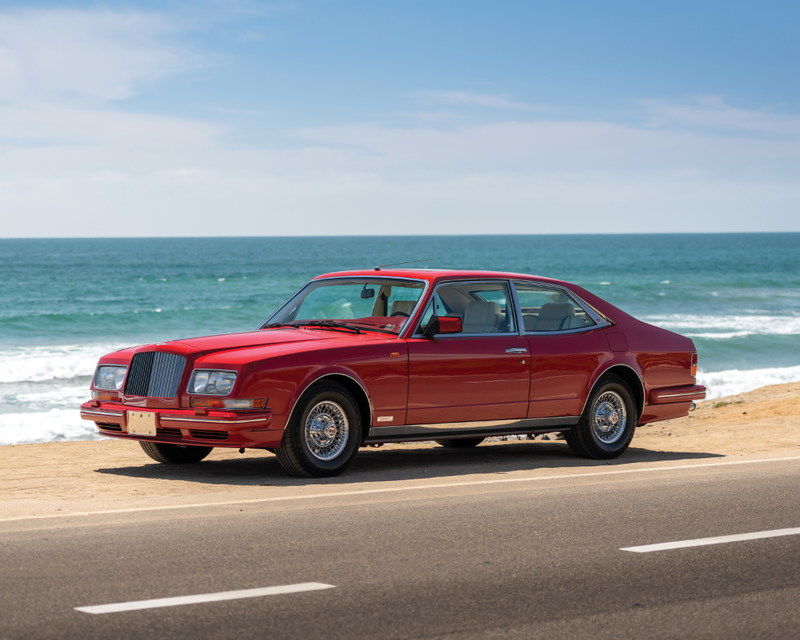 A previously-featured Phebus failed to sell and the Bristol 407 brought $38,047. Click here for complete results. And finally, Brightwells’ Modern Classic Cars sale. We didn’t get to feature anything from it, but this 2007 Bentley Continental GT was the top sale at $35,529, which seems like a remarkably good deal. Click here for the rest of the results. 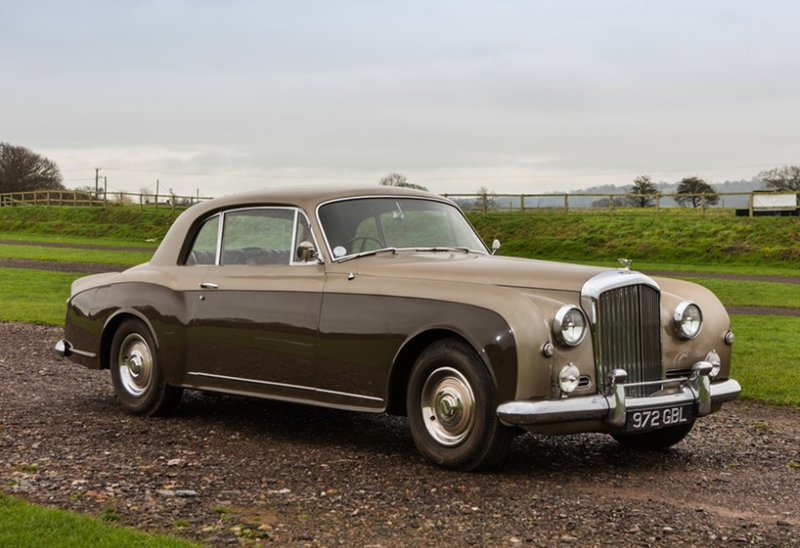 First up: Bonhams, and their Goodwood Revival sale. 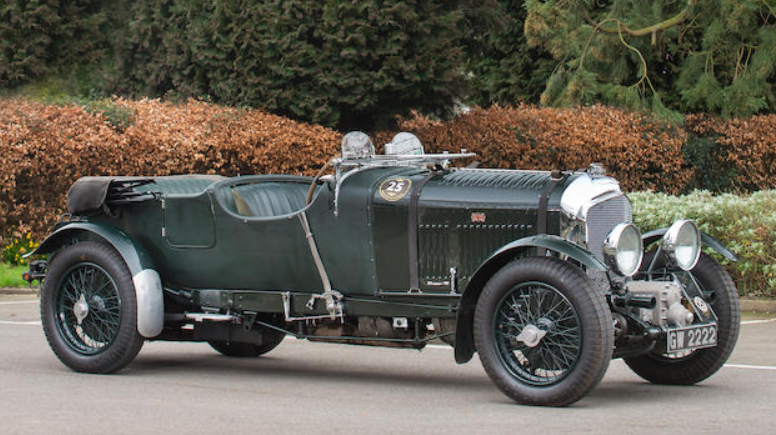 The only one of our feature cars that sold was the Frazer Nash Le Mans Replica that went for $785,031. The top sale was this 1956 Porsche 550/1500 RS Spyder that went for $5,976,862. That leaves the Daimler Dart, Renwick & Bertelli, and Aston-Butterworth all as no-sales. Click here for all of the results. Another quick one from Bonhams, the sale of the Robert White Collection. 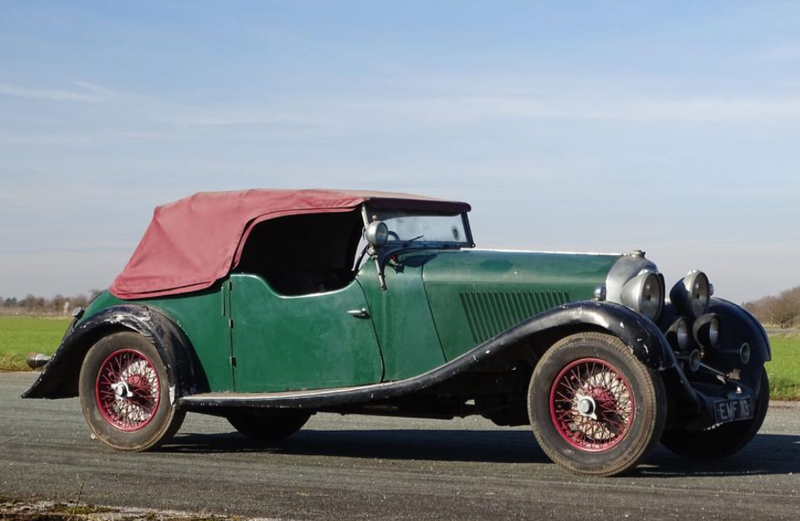 We didn’t feature anything, but of the handful of cars (and larger selection of motorcycles), the top seller was this 1930 Bentley 4½-Litre Tourer for $409,994. Click here for full results. On to Brightwells’ September sale. The one and only Murad Sedan that we featured brought $1,557 – quite a price for a one-off automobile. 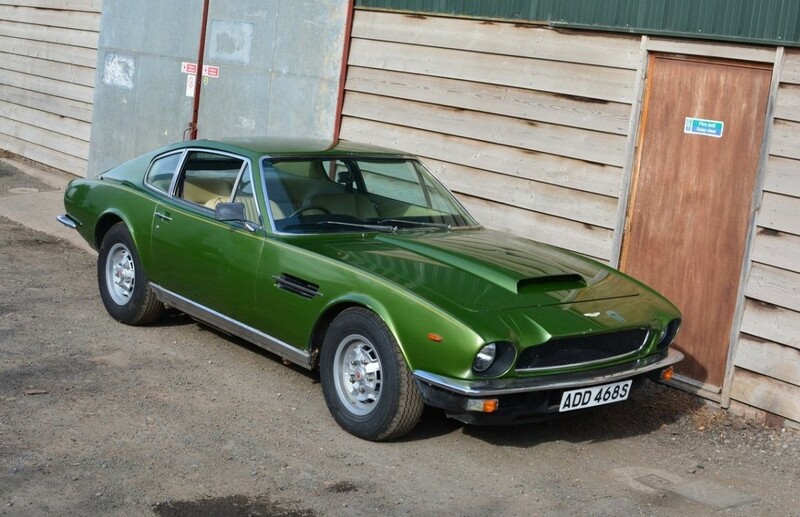 The top sale was this 1978 Aston Martin V8 Series 3 that brought $97,367. Click here for complete results. 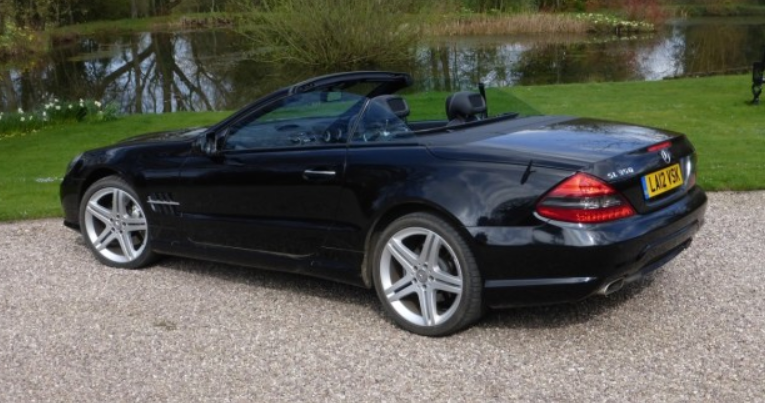 The Finest had a sale in Aspen, Colorado, and this 2009 Mercedes-Benz SL65 AMG Black Series was the top sale, selling for $220,000. Click here for all of their results. How about one more from Bonhams? This one is the always-interesting Preserving the Automobile Sale held in Philadelphia. The Willys we featured beat its estimate, selling for $45,100. 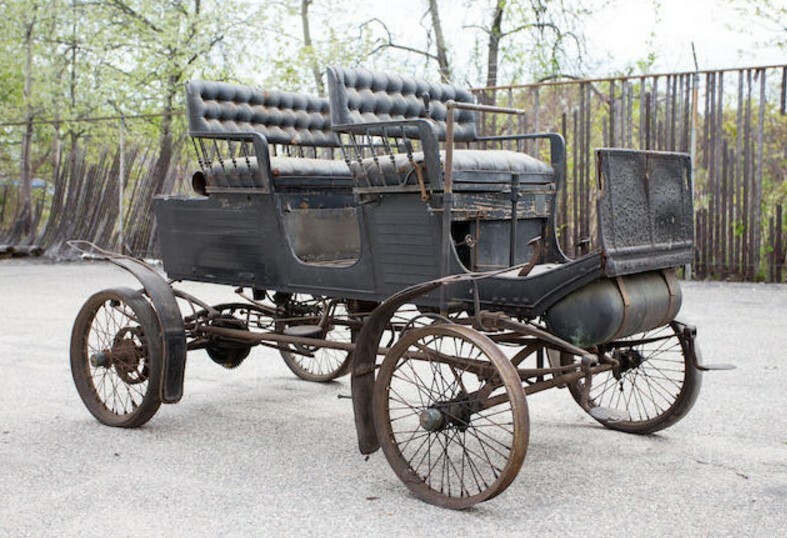 The Locomobile we featured failed to sell, but the top seller was a different, much rougher (although original) car from the same brand: it’s a 1901 Locomobile Style 5 that brought $121,000 after 80 years of ownership by the same people. The Galloway truck we featured sold for $26,400. Click here for complete results.